Playground Sessions takes pride in providing a fun and affordable way for people to learn how to play the piano, and this week we’re making learning even more affordable! 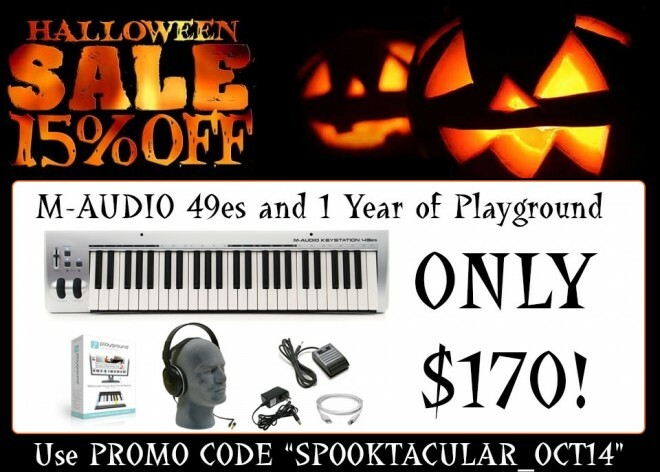 Get your hands on our new 49-key M-Audio keyboard with an annual membership for only $170 – a $144 savings! This keyboard provides a perfect way to play our arrangements while taking up less space (for all of our “less is more” users). Check out our latest social media channels and let us know what you think! New Songs & Harlem Prep! It’s often said that leaning how to play an instrument is good for you. In this video from TED Ed, the mental benefits one gains when learning how to play an instrument are laid out in a way that makes it easy to see that learning how to play an instrument is truly a useful skill. Check it out! At Playground Sessions, our goal is to not only teach the world how to play the piano, but to also create a strong and supportive community of piano players! We understand how valuable a support system can be when learning how to play a new instrument so we’ve created a forum that will allow you to easily interact with other users, suggest feature additions, and request your favorite songs to be added to our library! Create a free account on our forum and join our piano community today at www.playgroundsessions.com/forums!